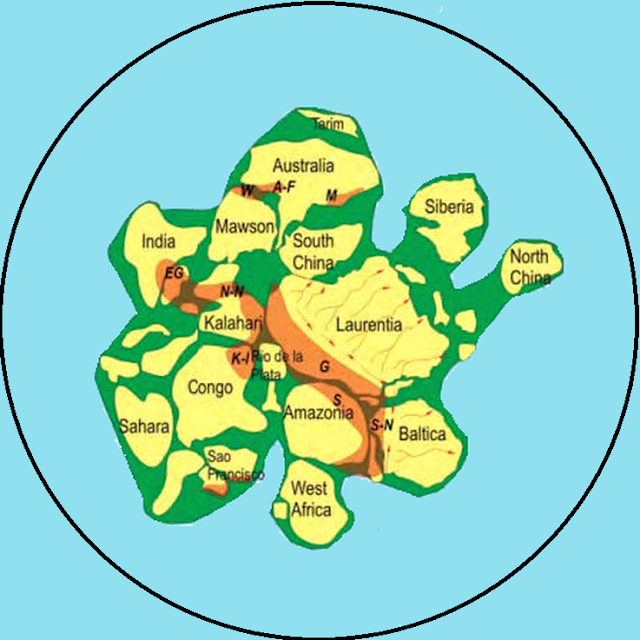 Only God knows what the earth exactly looked like before the Flood, but I believe it used to be one supercontinent. Now the question is whether there was an ICE WALL surrounding the round and flat plane of this world? 22 Hereafter seed time and harvest, and cold and heat, and Summer and Winter, and day and night shall not cease, so long as the earth remaineth. This was AFTER the Flood, so there was NO COLD and NO WINTER before the Flood and therefore I don't believe there was an ICE wall surrounding this world BEFORE the Flood and that's also why we don't read about the current ICE WALL in the Bible! 19 Unto Eber also were born two sons: the name of the one was Peleg: for in his days was the earth divided, and his brother’s name was Joktan. +SuperCrashJoe Broes So you believe there has been a worldwide flood which changed everything on earth? The entire system (flat and round earth with a firmament and what's below the flat earth) exists within WATER! It's all about JESUS Christ, God manifested in the flesh and the creator of this flat and round earth with a firmament! +john vico Not yet, because Niko made a positive comment. +I smoke The Oral Cigarettes everyday Correct, our ancestors were Adam and Eve, and from our vantage point the world isn't flat when we are in places on earth with a hilly or mountainous landscape, but when we're in the middle of an ocean or sea or in countries with a flat landscape, it's clear the earth is as flat as a pancake, and when we perceive ships or cars or trains 'disappearing over the horizon' it's due to perspective, because our eyes aren't super telescopes who can still see the ship or car or train when normal human eyes are giving us the impression the ship has 'disappeared'. "There is a curvature from space because you are looking at the edge of a disk. What other shape would you expect to see?" The higher we go the more we see that the world is round and flat. +john vico I've got better things to do than talking to God-deniers and flat earth deniers, like talking about salvation through faith in what JESUS Christ has done for us, or checking out the latest world news. My convictions are rock solid, but I don't want to waste my time on people like you who refuse to unchain their brain from the system. +john vico What nonsense! I was a globe earth adherent before October 1, last year and I also thought that flat earthers were crazy, but then I saw some videos made by a fellow believer in JESUS about the flat earth and then I started to do my own investigations with the result that I became a 'crazy' flat earther too. Most if not all flat earthers were globe earth adherents, and some of them are pilots. +Niko Bellic The big cosmic fart! +john vico Yes, I watched a video with great music (Deep Puple, Child In Time) and then I saw the truth. This singer (Ian Gillan, who still sings in Deep Purple, being 72 years old) had a Christian-religious background and he was a believer until garbage entered into his mind when he was 12 and I guess this garbage was the 'theory of evolution', which is very satanic. The result of the 'theory of evolution' is HUNDREDS of MILLIONS of dead and traumatized people through wars, extermination programs and abortion. Btw: I'm Dutch and I live in the Netherlands, the founder of New Amsterdam, aka New York. +7HΞ LθЯΔ θF LθЯΔS This map is accurate: https://plus.google.com/u/0/106087908907898703754/posts/3xY9aiNwEEL and of course it's round. +Roasty Memes God Of Bees So two people who believe in the flat earth represent all flat earthers? 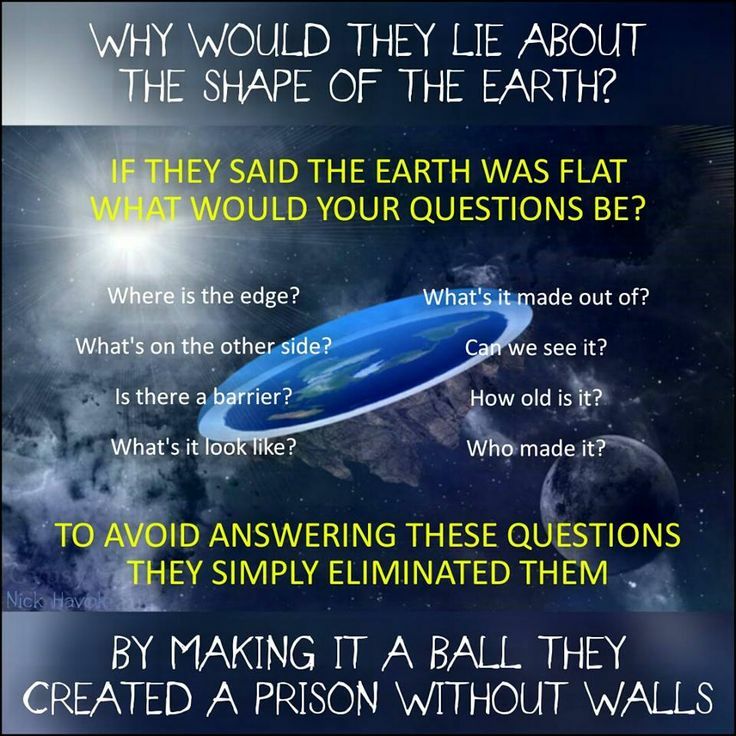 Flat Earth 'rs are dumb? I’ve been a flat-earther for over two years now and am so because of the clear scriptural testimony. What started me on it was a realisation that when sun/moon/stars are referred to in scripture many of the references use the language of movement, while earth is associated with the language of stability. I know that a lot of the descriptions can be interpreted figuratively, as you’ve pointed out above, but the general impression you get from scripture does suggest that earth is still while the heavenly lights move. One incident from Joshua illustrates this where it says specifically that the sun stood still and the moon stayed: now if it had been that the earth stopped spinning then it would have said so without any injury done to truth. The Ark didn't look like a BOAT but like a HUGE BARGE and in this documentary you can actually see a part of Noah's Ark from above.